Insert pun about hair and curls. It wasn’t always curly. When I was 13 years old, and started going through puberty, my hair went from straight to curly. For a long time, I fought it. Blow-drying, ironing, gels, creams, serums, relaxers, anything that was purported to give me the pretty pin-straight hair as the other girls. As I got into my mid-twenties, I learned to just let go and be myself in a lot of ways, including just liking my curls the way are. Using the right products and regimen to make my curls look the best with the least work has been an ongoing process as well. 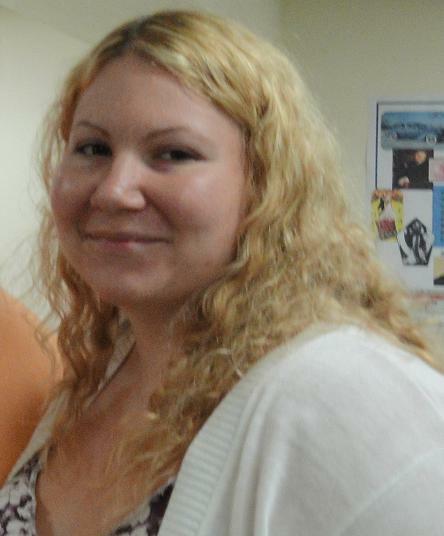 Two years ago, I found a website NaturallyCurly.com and started trying the Curly Girl method. This is a method that eliminates silicones and shampoo from your hair regimen. It worked well for me. I used this “no-poo” method for a while, using Suave naturals conditioner, Herbal Essences gel, “plopping” my hair when wet and “pineappling” my hair at night for good looking 2nd-day hair. Simply named, it’s called Curls. I bought these at Harmon, and they were actually in the “ethnic” aka black hair care section, but you can find these at Curls.biz. 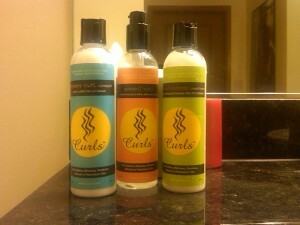 I bought the curl cleanser, conditioner and gel to start. After a round at the gym, I first clarified my hair with Neutrogena clarifying shampoo then I used this regimen. First of all, it smells great. It smells like cake frosting and coconut. I’m not sure how good it works yet, but I will let you know after about a week or two to give it a chance to work and figure out how to best use it, and if it’s for me. Ooohh. I’m curious to see how it works. I use DevaCurl and Ouidad. Never heard of this brand.